Conference delegates at MECC events always leave with lots of actionable guidance that they can refer to on their return to their place of work. 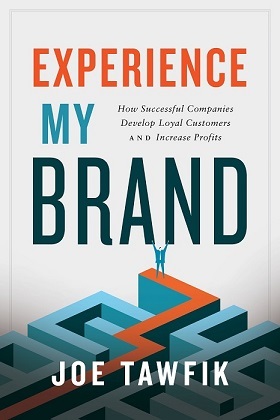 MECC ’18 delegates can look forward to a similar bonus this year when a large number of the acclaimed “Experience My Brand” book will be distributed to lucky main conference delegates. Not only that, they can get the book signed by the author, Joe Tawfik himself, as Joe will be delivering an eagerly awaited session at the event under the title, “How Successful Companies Develop Loyal Customers and Increase Profits”. Joe is of course no stranger to the region, having run a major Outsourcing company here and counting a large number of Middle East blue chip companies in his current client consultancy portfolio. His experience gives him a unique perspective on the issues that really matter when it comes to executing a growing and profitable business plan in the age of digital disruption. His MECC ’18 conference presentation is a must-attend for all regional customer experience professionals looking for fresh input and ideas.